The excitement surrounding the Carlsen-Anand World Championship match is so great that rest days are tough. What can fill that gaping chess-game-shaped hole in our schedules? 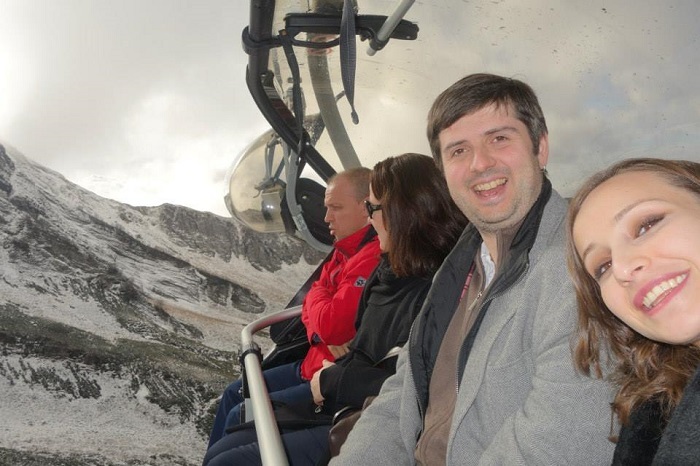 On Wednesday the English and Russian commentators decided to visit the snow-capped mountains near Sochi, leaving our Spanish editor and commentator IM David Martínez feeling somewhat left out. He did, however, get to chat to Sopiko Guramishvili. Note that David is universally known as Divis, or El Divis, for reasons we’ve never quite got to the bottom of! NOTE 1: Today in Sochi/on chess24 – no talk of chess! Barely had the day begun when it turned out I could rest easy since the journalists who’d set up camp in Sochi had no great exclusives either – a Norwegian game of football… but without Magnus! Is such a thing even possible? Well, I guess after what happened yesterday Magnus was in no mood to get up early! So, was everyone bored with a Wednesday in November without Carlsen-Anand? The commentators, meanwhile, were enjoying the high life! 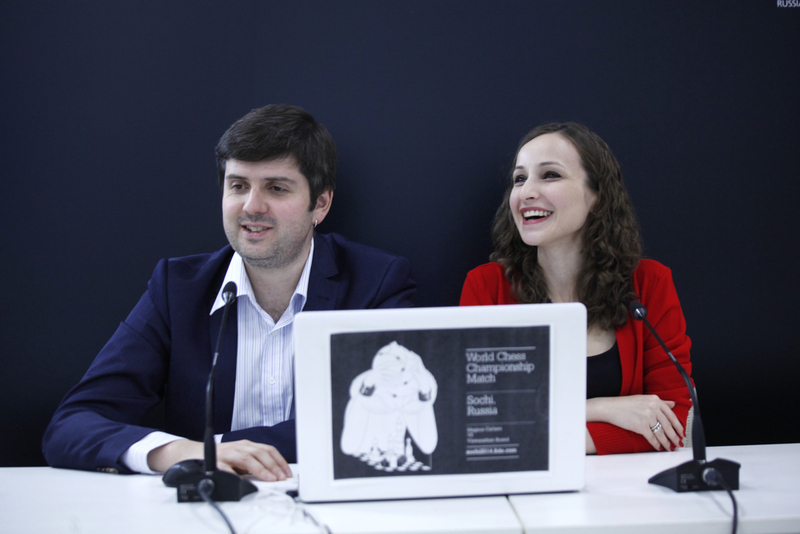 After seeing her photos on Facebook, and a little jealous of anyone who’d come up with a good plan and had a story to tell, I began to chat a little with someone I think can be considered “the smile of chess”, Sopiko Guramishvili. Divis: Hey Sopiko! How’s your rest day going? Sopiko: Very well! The place we went to is called Krasnaya Polyana. 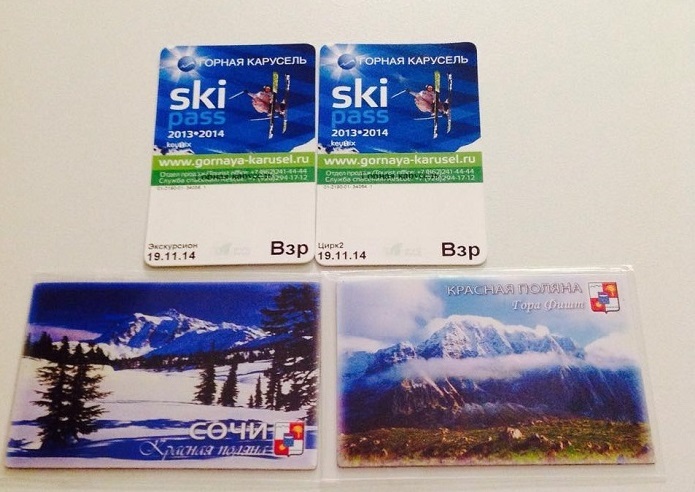 It’s 40 km from our place and it’s a very famous ski resort in Sochi. Actually it’s the place where they held the Winter Olympics. The highest peak we were at today is 2400m high. 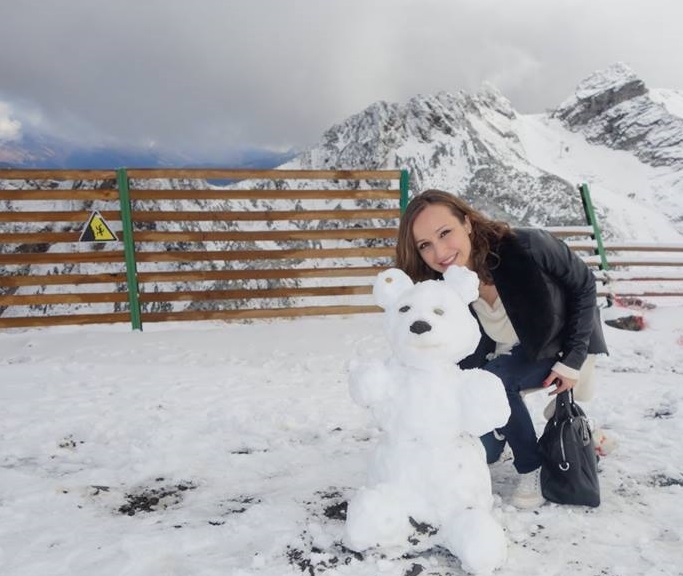 Sopiko: I don’t know how to ski. I’m afraid of it, but luckily no-one was interested so we didn’t even consider it! Sopiko: I can send you some photos! Finally Sopiko found someone her own size to have her photo taken with… By the way, did you spot the sign on the left – it’s pretty explicit! 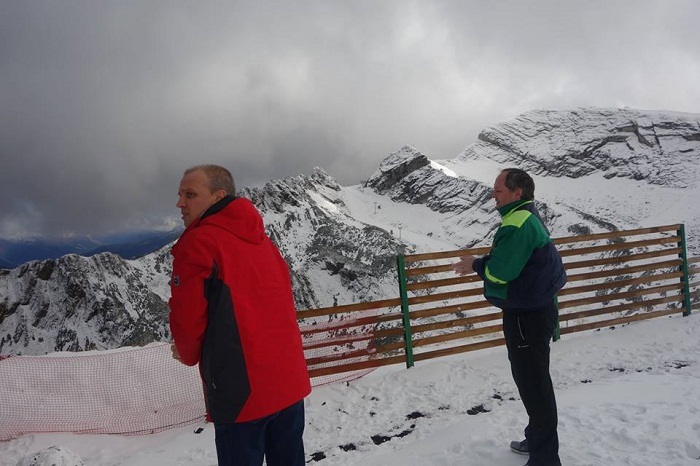 The Russian commentators, Sergey Shipov and Ilya Smirin, feeling the cold! Divis: Hey, what’s more difficult for you to endure – Peter’s long speeches while commentating on the games or Anish at dinner after he’s won a good game? Sopiko: How evil of you! A tricky question! And to be honest I enjoy both options, so I can't really say it's hard! Divis: By the way, fans who follow us in Spanish say that with the interventions of Paco we’re approaching the level of Svidler… Though not in terms of looks. Have you improved your Spanish? Why do they want to follow the English commentary? Sopiko: Not really. As usual I understand everything but I need a lot of practice and not to have any complexes. They probably just want to practice English listening skills, as Peter speaks perfect English! Sopiko also told me that her next tournament will be in Qatar, at the end of November. Is there any better preparation than commentating on the games of the World Championship with an elite player? I’m sure it’ll do her the world of good! After saying goodbye to Sopiko I could see that Magnus had finally woken up! To be honest, his technique doesn’t look great but it seems he hits pretty hard!